• Prepare a rejuvenating face mask by mixing two tablespoons of rose water in a tablespoon of calcium bentonite clay. Leave it on your skin for about 20 minutes and then wash it off with lukewarm water to maintain soft, radiant, and younger-looking skin. You can follow this simple beauty treatment on a weekly basis. • Exfoliate your skin by making a mixture of one tablespoon of bentonite clay, one teaspoon of ground oatmeal, and a tablespoon of distilled water. Next, put a couple of drops of tea tree oil in this recipe. Apply the mask on your face and neck for almost 15-20 minutes and then rinse it off. • Similarly, you can add a tablespoon each of crushed almonds and organic honey in a paste of bentonite clay and water. • Applying a combination of bentonite clay and apple cider vinegar is highly beneficial for issues like acne, blackheads, blemishes, age spots, and excess oil on skin. • Another natural cure for acne involves mixing equal parts of bentonite clay and green tea. You can also add a tablespoon of aloe vera gel in it. Leave this facial mask on your skin until it dries. Finally rinse it off with lukewarm water followed by a cold water rinse. 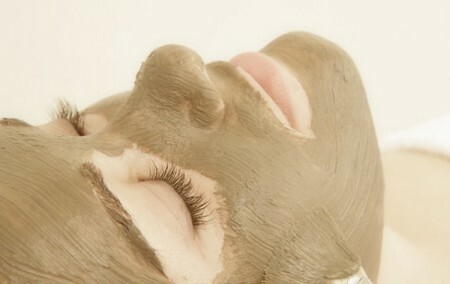 Here is a video showing how to make a green tea and bentonite clay face mask. • Make an anti-aging beauty mask crushing a few stalks of sage herb, and adding one tablespoon each of organic honey, coconut oil, two tablespoons of bentonite clay, and fresh juice squeezed from half a lemon. • Prepare a soothing mask by blending an inch of cucumber and adding three tablespoons of bentonite clay, one tablespoon of oatmeal and two tablespoons of water. • Blend half a cup of papaya and mix one part each of bentonite clay and apple cider vinegar in it. Apply it on your face and neck. Remove this exfoliating mask with warm water after 10-15 minutes. • When dealing with itching and skin irritation, apply a thick paste of bentonite clay and water on the affected area and leave it until it dries completely. • To get rid of dry, rough skin on feet, scrub your feet with a mixture of two parts clay, one part distilled water, one part olive oil, and about three tablespoons of kosher salt. Finally, remove it with the help of warm water and a soft towel or wash cloth. • Nourish and clarify your hair by applying a clay hair mask. For this, you need to mix half a cup of warm water and the same amount of apple cider vinegar in a cup of bentonite clay. You may add some honey, too. Finally, smear this smooth mixture on your hair and wear a shower cap or cover with a plastic bag. Rinse it off after 20-30 minutes to make your hair shiny and follow up with a deep conditioner to restore moisture. This recipe is also good for curly hair. Apart from applying bentonite clay on skin and hair, you can take it internally, preferably on an empty stomach, to promote liver function, aid in detoxification, support the intestinal system, and reduce allergic reactions. It is usually recommended by the practitioners of alternative therapy. Moreover, taking benonite clay, preferably mixed with a cup of applesauce (for taste) serves as a good home remedy for diarrhea. High doses of edible bentonite clay, however, can lead to bowel obstruction. I love those homemade beauty recipes.